Make this wild rice recipe quickly and easily in a pressure. Add mushrooms, peppers, cauliflower and other fresh veggies. I also added homemade pesto for additional flavoring. Best part is that it will work as a side dish or light lunch. Hey, how much do you love your pressure cooker? I fell in love with it from day one and I can’t stop cooking in it! It has made my life easier! If you haven’t tried it yet, you should definitely give it a chance. I am willing to bet that its going to be love at first use for you too! 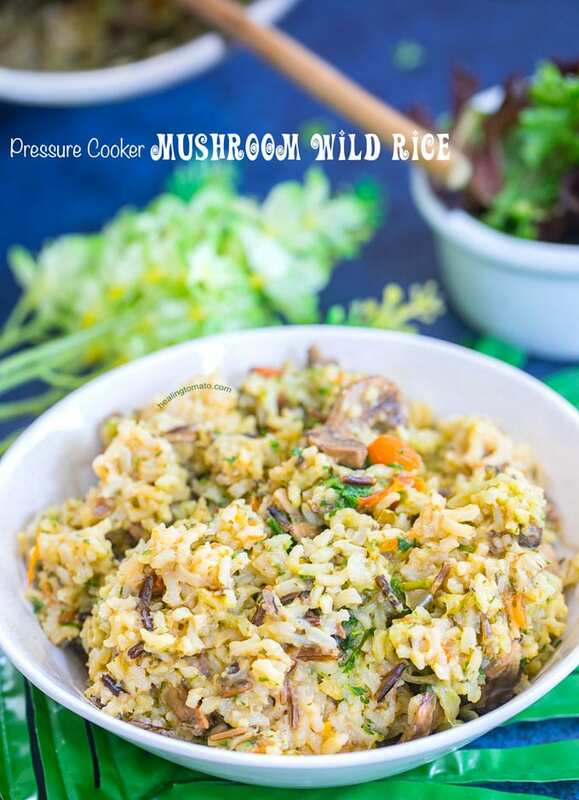 Today, I am making a mushroom and wild rice blend recipe in the pressure cooker. It was ready in under 30 minutes which is perfect amount of cook time for me. 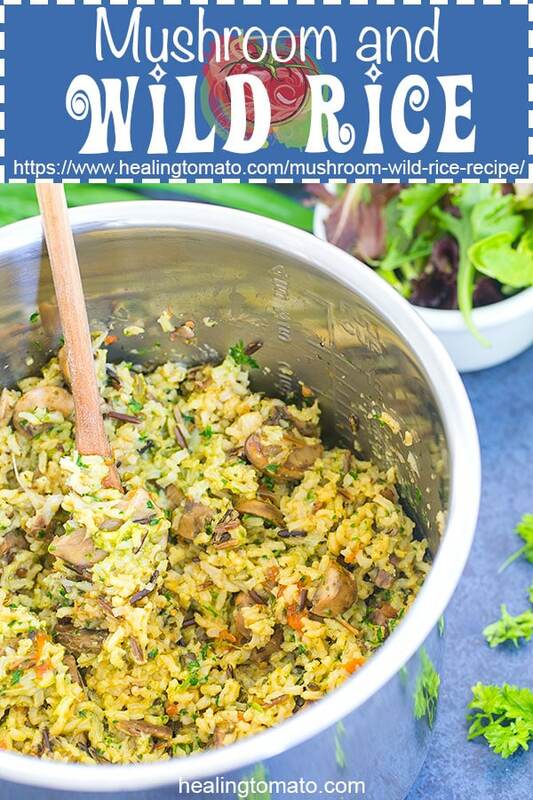 I used a blend of wild rice because I like the mix of different rice types in it. 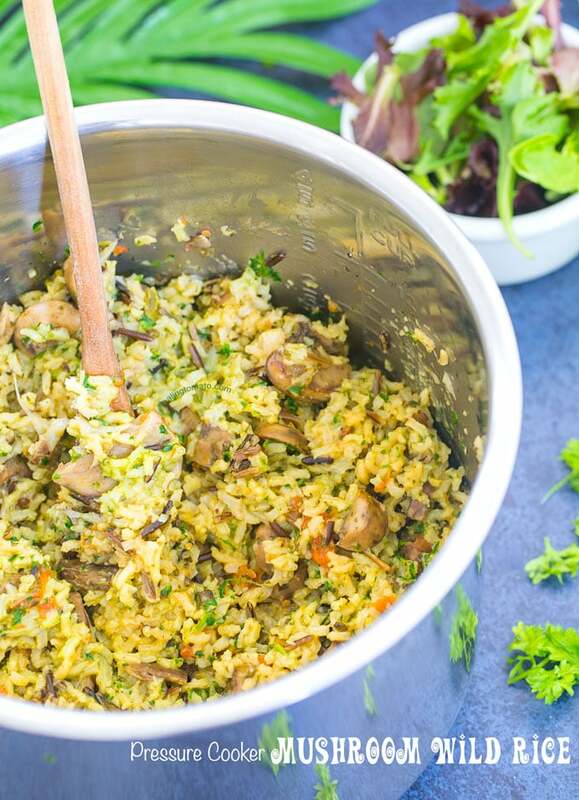 I used this blend when I made my Brussels sprouts pilaf and it was soooo good! So, now I use it whenever I want to add fresh veggies. The blend I use is by (affiliate link) Lundberg’s Wilde Rice Blend which I buy from Amazon or my local grocery store. 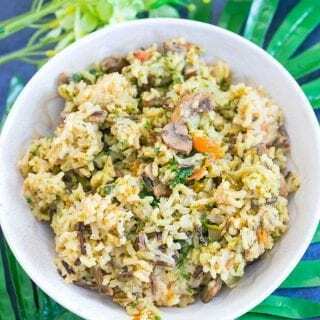 This blend was a mix of long grain brown rice, sweet brown rice, wild rice, whole grain wehani rice, whole grain black japonica. All these rice type blend so well together when cooked. 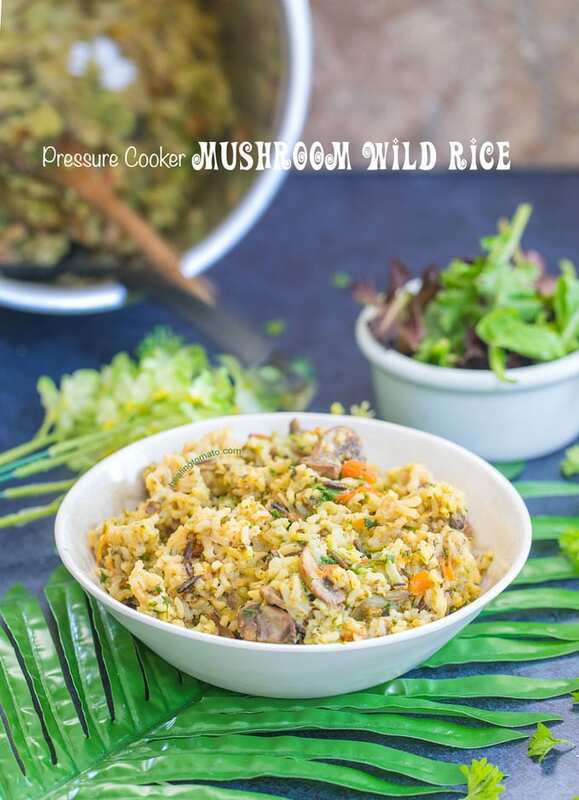 Can this wild rice recipe be frozen? Absolutely! You can make a whole batch of it and place it in meal prep containers and freeze them. As a rule of thumb, I always make sure I use up everything in one week. I don’t like keep food frozen for long periods of time. After its cooked to room temperature, I put it in individual containers. I label them with the name of the recipe and the date I made it. Can this wild rice recipe be made in a slow cooker? Yes, you can make it in the same way as I made it in the pressure cooker. 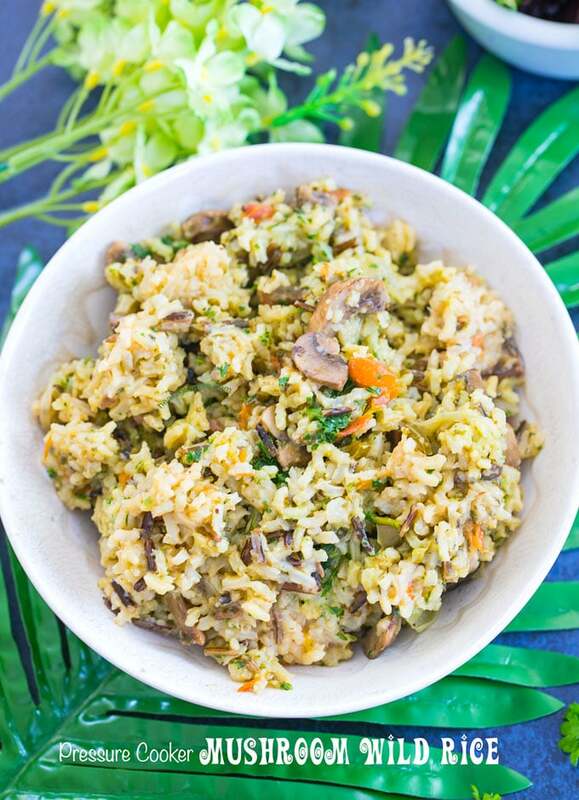 Cook the mushrooms and other veggies first, then add the rice. Cook on high for about 4hrs, but, make sure you stir often. Not stirring often caused so many problems when I first made my Quinoa and Red Beans. It cooks the bottom only and the top contents remain uncooked. You live and learn, right? Too many ingredients fighting for space in a small container is a recipe for disaster! There will be no space for pressure to circulate and will cause the top to explode. As a rule, I never fill it past the 7 cup mark. If I need more, I will make a 2nd or 3rd batch. Its always better to be save than sorry. Unlike the slow cooker, its always better to be around the pressure cooker when its working. If it starts making a funny sound or smells like something is burning, you can do something about it. If you find anything strange happening, remove from the power IMMEDIATELY and place the whole pressure cooker under cold, running water. This will brick your pressure cooker, but, it could help prevent something bad from happening. With the stove top cooker, we would replace the inner rubber tube often. However, with the electric one, its ok to change it about once a year. That rubber tubing acts as a seal that helps keep the pressure in check. If the seal doesn’t close properly, it can be dangerous to use. I hear about horror stories that the pressure cooker caught on fire. Stuck on food is always an issue, so, make sure you clean it often. 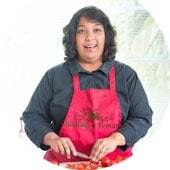 If you are intimidated by the pressure cooker, find someone who uses it regularly and watch them work with it. Ask to use it in their presence and let them walk you through all the steps. Trust me, you will love using it once you get comfortable with it. What’s recipe would you like to see made in a pressure cooker? Set the valve to "sealed"